This entry was posted in Celebrations on December 23, 2018 by gldstrm. On November 8th Bishop Michael made his annual visit to our church. This was once again an important occasion for our bishop to meet us and for us to meet the bishop. By decision of the Holy Synod, Bishop Michael bestowed special honors – elevated of Fr. Leonid to the rank of protopresbyter and awarded Fr. John Bartholomew with the jewelled cross. 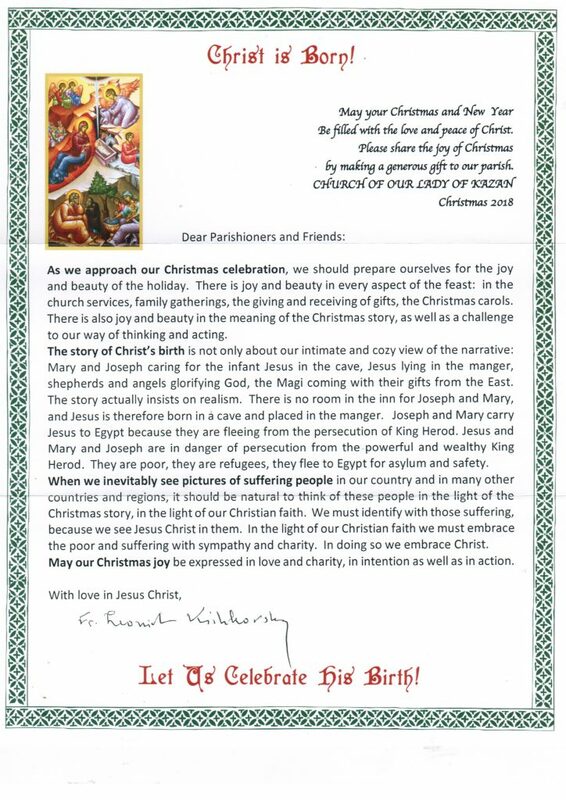 This year our parish family celebrated several anniversaries. In July a festive reception in the parish hall and the church grounds marked 40 years since Fr. Leonid and Mimi, and their then small children Sonya and Masha, arrived to begin their service in Sea Cliff. On August 31st Mimi offered a reception to the whole parish after Liturgy to mark the 45th anniversary of Fr. Leonid and Mimi marriage. 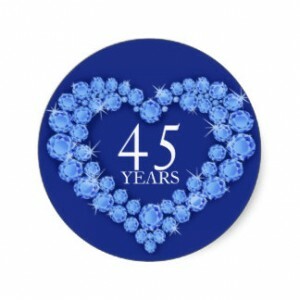 In November will be the 45th anniversary of Fr. Leonid ordination to the holy priesthood. Thus the visit of Bishop Michael completed the circle of anniversaries. Stay tuned. Gallery of pictures coming soon. You have been informed and reminded – by letter and e-mail – that on Saturday, November 8, Bishop Michael will celebrate Liturgy in our church. On this occasion, he will read a prayer elevating me to the rank of Protopresbyter. This rare honor is granted to me by decision of the Holy Synod of Bishops. Our Bishop will also award Fr. John Bartholomew the right to wear a jeweled cross. Your attendance and participation is important! Please come to church by 9:30 a.m., at which time our Bishop will enter the church in preparation for the service. After vesting in the sanctuary, we will begin the Liturgy in the middle of the church. The prayers for Fr. John and me are read at the very beginning of the Liturgy. 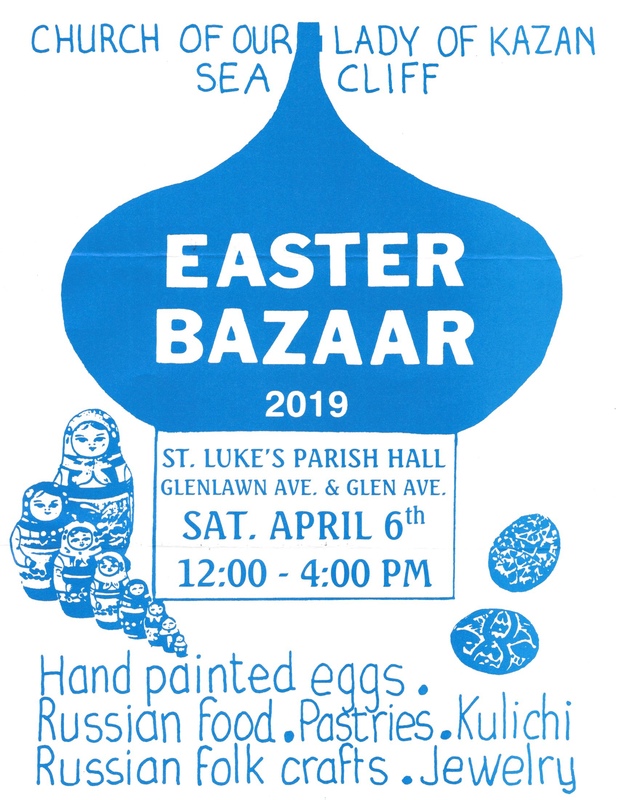 We will have guest clergy from our sister churches in Sea Cliff and Glen Cove. After the Liturgy we will hold a reception in the parish hall and church garden. This entry was posted in Celebrations, Church Services on November 3, 2014 by gldstrm. Happy Anniversary Dear Fr. Leonid and Mimi! This entry was posted in Celebrations on August 30, 2014 by gldstrm.